I have lovely memories of attending Camp Meeting at NCC for many years, and enjoying the singing led so enthusiastically by Rev. McNiven. 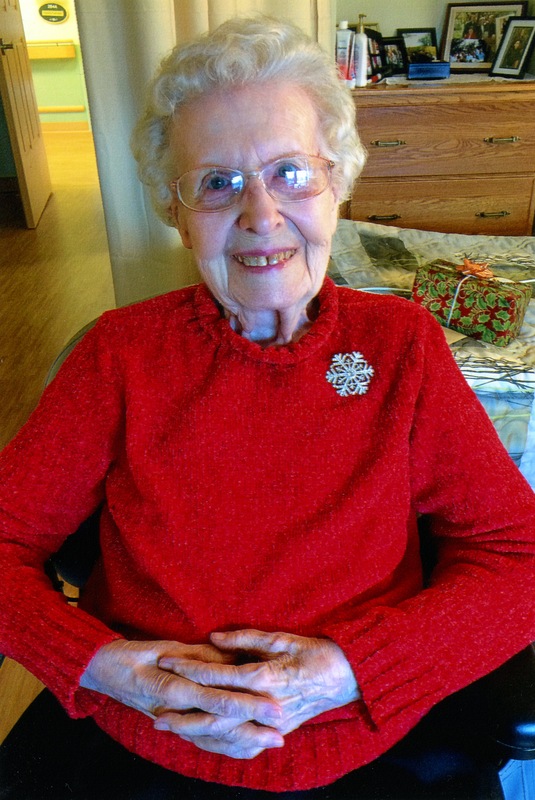 Mrs. McNiven was always elegant and smiling — a wonderful lady. My condolences to all the family on your loss. You were blessed to have your Mom for so many years. Your mom was a wonderful woman of God. She had the warmest heart and affections smile. Keith Nigh notified us of Mary’s move to heaven. The four of us had planned to visit her at the nursing home but it never worked out. May God comfort each of your heats. Mary and Andy McNiven were dear friends of ours. We have a booking and cannot make it to the service. You are in our prayers. We were always so encouraged by Mary’s vibrant and enthusiastic input when she attended the Camp Kahquah Retirees Retreats. In addition, the harmonious singing by her and Andy as she played the accordion and Andy the guitar was so uplifting. The celebration of her life was so appropriate, a “one of a kind” service reflecting her creativity, devotion to the Lord and love of her family. Our family has good and happy memories of the McNivens. Through the years, Marjorie and I enjoyed visiting with Andy and Mary at Camp Meeting and at Camp Kahquah. I also remember when Andy, Mary and the family came to Port Colborne Church to provide music ministry, then came to our home for a time of fellowship. My condolences to the McNiven family. We have wonderful memories of Mary and Rev. Andy when they pastored the Oak Ridges BIC church. Our sympathy to the family.